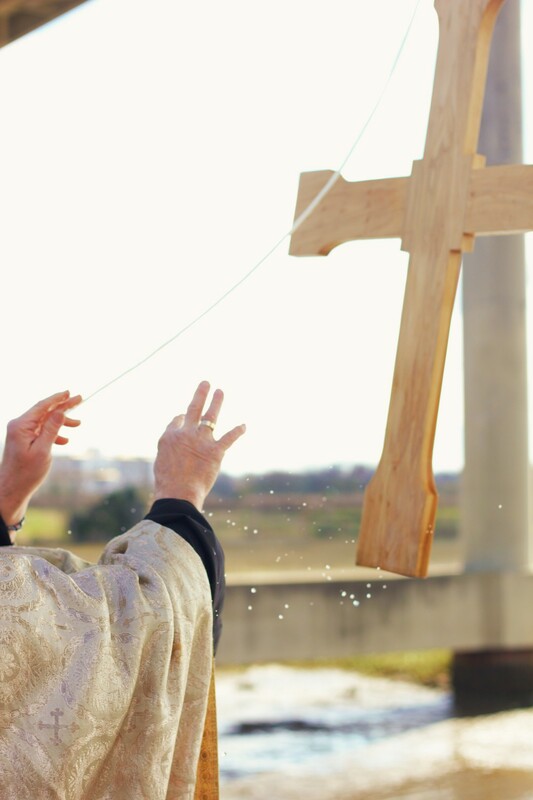 On January 23, 2016 the three local Orthodox parishes in Charleston, Holy Trinity Greek Orthodox Church, Saints Cyril and Methodius ROCOR and Holy Ascension came together to bless the waters of Charleston Harbor with Fr. Aristotle Damaskos, Fr. Anastasy Yatrelis and Fr. John Parker. It was cold and windy but that did not take away from the Festal joy. The day was captured in photos which are shared graciously by Andrew Garrison below.